Hololoto offers a brand new approach to familiar things and forms. 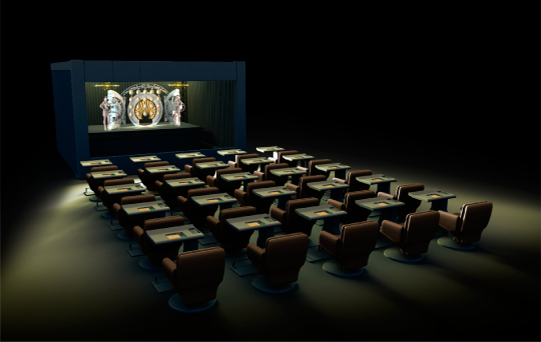 Thanks to the development of the latest technologies, they offer you a completely new, patented lottery system that is based on Musion holographic technologies, creating truly three-dimensional visualization. This allowed us to visualize the unique images of game characters in constantly developing worlds and show them to the audience with both stunning graphics and dynamic, entertaining game. HOLOLOTO is sure to impress players of all ages, and will allow you to try your luck at any part of the world. Watch Hololoto at the Russian Gaming Exhinition.